Bert Tuckpointing and Restoration Inc. properly replaces thousands of window/door lintels per year. Lintels (Angle Iron) Replacements and proper installation of the flashing membrane is a preventative and necessary work. Lintels need to be replaces when they are improperly installed by inexperienced workers using sub-par materials and most importantly when they are corroded. Corroded window lintels create structural problems because as rust builds up there is an increase of stress on the masonry creating cracks and bulging areas in danger of falling out. Whether they are improperly installed or corroded if not immediately repaired/replaced they allow water into the units adding to the cost of repairs. 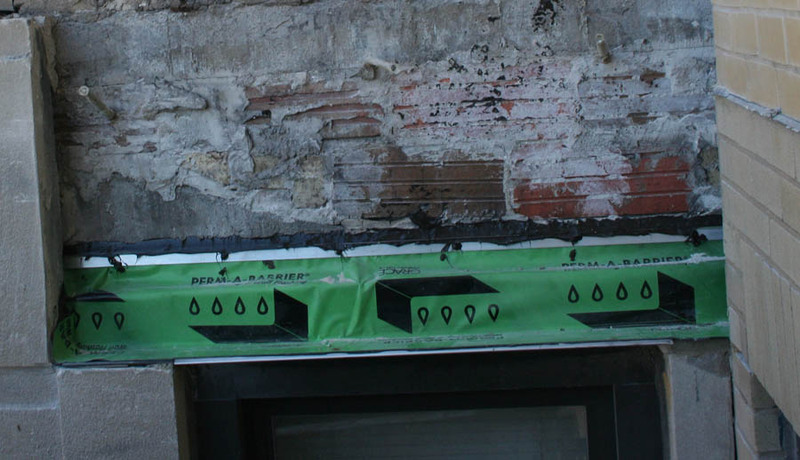 With over 20 years of experience BTR only uses the best available material to properly repair/replace lintels. It is important to note that we are confident in all work that we perform that we warranty all window/door lintel replacement/repair.